Lots of homeowners have to repair or replace their sewer line at some point. Today, we’re lucky enough to have “no dig” trenchless technology, which has rendered sewer line excavation outdated. Just 15 years ago, a sewer repair was something to dread. According to Angie’s List, “traditional methods can be disruptive, displacing landscaping and hardscaping, and even forcing unlucky homeowners to dig up garages and driveways when their lines run beneath them.” Could you imagine having to literally rip apart your property just to repair or replace a sewer? 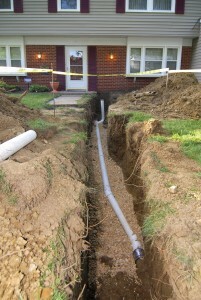 With expert diagnosis and sewer repair teams throughout Indianapolis, we can help with every type of sewer line issue. We specialize in broken or cracked pipes, blockages, corrosion, bellied pipes, leaking joints, and root infiltration, as well as sewer line replacement. Visit Service Plus Heating, Cooling & Plumbing’s website to learn more about sewer repairs in the greater Indianapolis area, or give us a call at (317) 434-2627. We’re ready to help with fast, friendly, expert sewer repair services—anytime! Get more tips and tricks by connect with us on Facebook, Twitter and Google+.